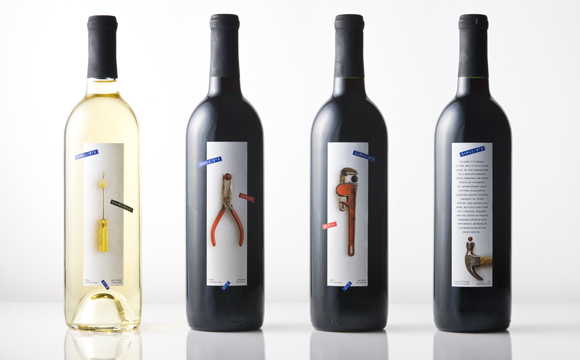 We developed this series of labels for a group of guys who make wine in their garage with grapes imported from California and Oregon. It sounds hokey, but they make around 1,000 bottles of VQA quality wine a year! 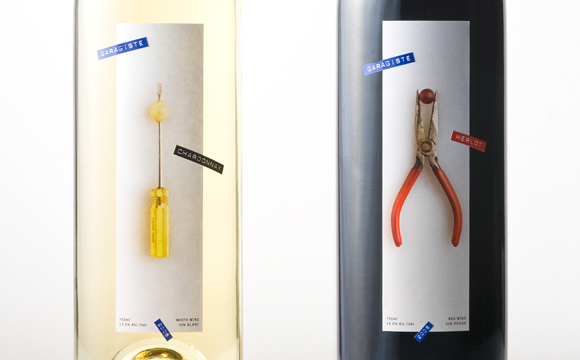 In the “home wine making” community there is a (slightly) derogatory expression for guys who make wine in their basements and garages: garagistes. 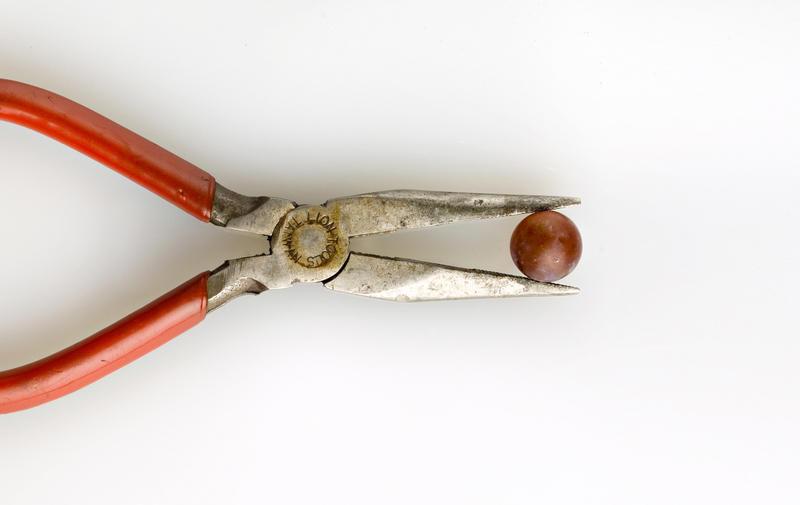 We adopted this name and played on the juxtaposition of grapes and common workbench tools (colour-coded of course!) for the labels. 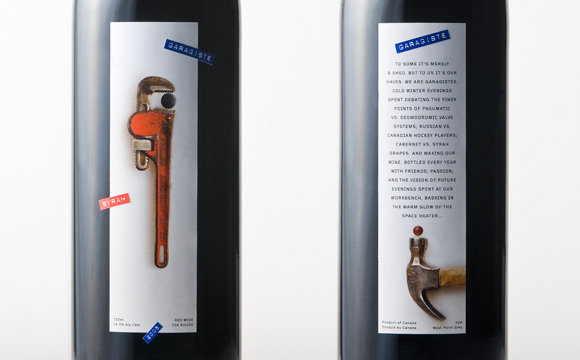 The toolbox theme is continued with the hand labeller style tabs which hold the labels on and denote the varietal and vintage, in addition to the “winery” name Garagiste.